Growing a human is such a unique blessing! What better way to remember the kicks, hiccups, and life growing within your body than with a beautiful maternity session? 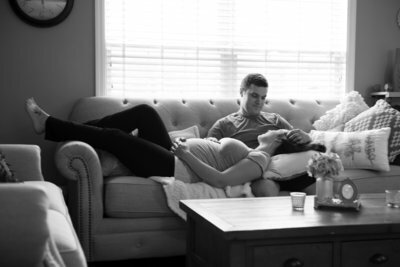 Maternity sessions are just as fun and relaxed as all my other sessions, these photographs are about you and your family in this special season of life! When choosing a date, I recommend scheduling your session between 32 and 36 weeks so you can show off your beautiful baby bump. "Katherine is AWESOME! She is sooo AMAZING and TALENTED! I definately recommend her for all your photography sessions."